You probably know that certain things are cheaper at certain times. Whether you’re buying airfare, dining out, shopping online, or buying anything else, there is often a “best time to buy.” Every year year, we compile a list of the best times to buy stuff based on when stores are trying to push out old stock, when they’re dropping prices for upcoming holidays, or even when they start having sales for no good reason. Check out the chart below for an easy view of the year, or read on for more details. You can find this info at a lot of different places, from big guides like Freeshipping.org’s Best Time to Buy guide and PC World’s gadget-specific buying guide. However, in an effort to make the guide as accurate as possible, we’ve gone searching for more specific, individual sources for each item to ensure you’re looking for deals at the right time (and gotten rid of the items for which there wasn’t clear consensus—like party supplies or aluminum cookware). So, for each item, click the source link for more specific information on when and how to buy. Also, if you’re looking for more specific up-to-the-minute news, we highly recommend checking out Dealnews’ monthly best time to buy feature—it’ll highlight a lot of the same stuff that we do here, but also discuss specific gadgets (like the newest iPad or the newly-released Xbox One and PlayStation 4). For a bigger overview of the year, read on! Video Games: A lot of new video games come out in late fall for the holiday season, and they’ll go on sale after the holidays are over. Check out Steam and other gaming retailers for discounted prices. Video Games: If you play console games, the best you can do is usually wait until your desired games go on sale, usually a few months after they’ve been released. PC gamers can take advantage of big online sales—like the ever-popular and wallet-reducing Steam Summer Sale—around this time. Linens & Storage Containers: As the kids head off to college, lots of stores have sales on new dorm supplies. Kids’ Clothing: It’s back to school season, so lots of more kid-oriented stores are having sales. School Supplies: Again, back to school sales mean good deals on lots of office supplies. You can either buy now, when the sales are going on, or later in September, when stores are getting rid of leftovers. Bicycles: New models come out at the end of riding season, which is around September. Look for good prices on last year’s models. [Bicycling.com]. School Supplies: As mentioned above, stores’ll be clearing out their inventory from all the back to school sales. Anything you don’t need the first few weeks of school can be bought in September for even less. Televisions & Other Electronics: Hit the stores during Black Friday and Cyber Monday for good deals on all sorts of electronics. Make sure that deal you find is really a deal before pulling the trigger, though. Appliances tend to be cheap on Sundays, when most people are out buying new ones. In addition, you’re bound to find great deals on any major holiday, like Memorial Day or Independence day. Computers & other electronics are cheapest on Mondays, when manufacturers apply their rebates. This applies to TVs, cameras, and video games as well. Entertainment venues like museums and amusement parks often have discounts during the middle of the week, when they’re less crowded. Plus, smaller crowds are always nice. Some museums might even have free admission days, so check out the venues you’re interested in for more. Gas prices are higher on the weekends, hitting their peak mid-morning on Thursday to anticipate all the weekend drivers and travelers. Fill up on Wednesdays or early morning Thursdays for the biggest savings. Jewelry is best bought on Wednesdays, when most people tend to shop for it. However, stay away from gift giving months like Valentine’s Day, Mother’s Day, and Christmas. Chocolate is great to buy after any holiday that involves chocolate: Halloween, Christmas, Easter, and Valentines’s Day, for example. They’ll be clearing out all their holiday-themed candy, so you can grab them up if your kids already ate their chocolate rabbits and Santas. And with all things, if you find an item you like, monitor it regularly. Things go on sale for no reason all the time, whether it’s a Shell Shocker on Newegg, the end of a clothing season, or when a particular product goes through a refresh (like Apple computers). That’s our big list for the year. We’ll be updating you at the beginning of each month, reminding you of the best things to buy, but this should help you plan for the year ahead. Good luck!  Named the Best Realtor by the Oakland Press, William Brundage is an industry leading Realtor bringing over twenty years of experience to successfully marketing and selling fine homes and estates. His dedication to his clients places him in the top 1% nationwide. Personalized service and client satisfaction are paramount. William is committed to getting you the best price and terms in the shortest amount of time.